Mortality was found to rise in the winter months between November and March, which coincides with a greater congregation of dugongs and an increase in the level of fishing activity. Dugongs live in shallow, warm, coastal and island waters between East Africa and Australia, with a range spanning at least 48 countries. They are related to elephant and the manatee, an animal they are often confused with. Whereas the manatee lives in freshwater, the dugong is strictly a marine species, and it is smaller – around three metres long and weighing up to 400kg, the same as a large cow. In fact, it is often known as a sea cow because it grazes on seagrass meadows and is the only entirely marine mammal to feed exclusively on plants. Many of these seagrass meadows are becoming lost and degraded. They are highly sensitive to human impacts, such as from mining, trawling and dredging, and can become easily silted. This threatens the survival of the dugong (if there is not enough sea grass they do not breed normally) and in turn the health of the ecosystem. The dugong has been traditionally persecuted by humans throughout much of its range for its meat, hide and oil and illegal hunting continues today. Other threats include coastal development, pollution, boat traffic and fishing. Nets are a major cause of population decline, as dugongs are unable to hold their breath for more than about 12 minutes and therefore easily drown once entangled. The number of drownings has surged in the last five years in the United Arab Emirates, which has the second highest population of dugongs after Australia with over 2,800 individuals. The Environment Agency – Abu Dhabi has reported that there were 153 deaths in the 2000-2014 time period, 85% of which were due to drowning. Mortality was found to rise in the winter months between November and March, which coincides with a greater congregation of dugongs and an increase in the level of fishing activity. In Australia dugongs are found within, and enjoy the protection of, the Great Barrier Reef World Heritage Area. Work is being by the Great Barrier Reef Marine Park Authority and other agencies to halt their decline. An action plan is in place and a network of 16 protected areas has been established. However the International Union for Conservation of Nature (IUCN) reports that little effective management intervention has been put in place to reduce human impacts on the dugong. As the dugong is a large, slow moving animal that lives close to the coast, it is particularly vulnerable to human impacts and, as a result, dugongs have declined or gone extinct in at least a third of their natural habitats. 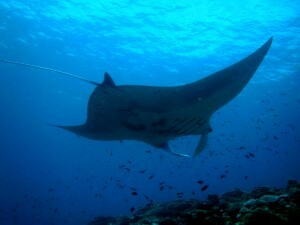 The IUCN has listed their status as vulnerable since 1982. Malaysia is one country that is aiming to protect its marine environment, for dugongs and all marine species – 10% of the marine environment by 2020. However, less than 1% is currently protected. The consequences of this for dugongs is being investigated by one scientist from the University of Malaya, Dr Louisa Ponnampalam. She first conducted aerial surveys in 2010 to assess the local dugong population around the islands on the south-eastern coast of West Malaysia, known as the Mersing group of islands. These islands host the most significant congregation of dugongs in peninsular Malaysia. The initial surveys covered almost 3,000 km of water over a period of eight consecutive days. This resulted in 93 sightings of dugongs, with the maximum daily count being 20. This suggests a relatively small population, however twenty-two sightings were of mother and calf pairs, a good sign as it indicates that the population is reproducing. This is important for the dugong because their low reproductive rate (one calf is born every five years), long generation time and high investment in each offspring (a calf stays with its mother for two years) mean populations can take a long time to recover from any losses. Unsurprisingly, the highest concentrations of animals coincided with areas that have known seagrass meadows, although only 38% of sightings fell within the boundaries of local marine parks. Dr Ponnampalam resumed aerial surveys in 2014 after receiving the Pew Fellowship in Marine Conservation to investigate dugong distribution patterns. In addition, she is now deploying acoustic recorders to study their habitat use and collecting sea grass and sediment samples to study environmental contaminants. This will allow her to conduct a habitat health risk assessment for the dugongs. The data will assist with focused protected area planning with all relevant stakeholders, including management authorities and local communities. 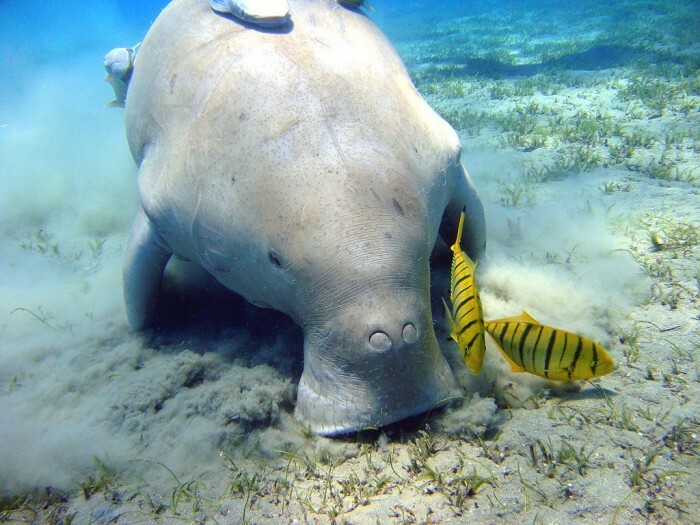 Her research team, which includes scientists from Malaysia, Japan and the US, fears that the Mersing islands will not provide sustainable long-term habitats for dugongs if the threats they face increase. The scientists published their study in Oryx, in which they conclude that “the conservation concerns are sufficiently urgent that policy makers should take quick action even though science has not yet provided complete answers to critical questions. Lack of comprehensive scientific information should not be a deterrent to the implementation of conservation actions.” They also recommend the establishment of a dugong conservation area. Clearly more scientific research is needed so this year the team plans to expand their study to include mapping seagrass meadows, an investigation of dugong feeding trails (the trails of bare sand and uprooted sea grass they leave behind) and an assessment of the total economic value of the main dugong areas in the Mersing Islands. Widespread persecution by European settlers led to the downfall of this subspecies. 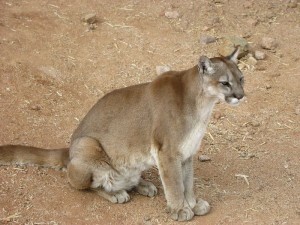 The big cats were killed to protect the settlers and their livestock through hunting, trapping, poisoning and bounty programmes. 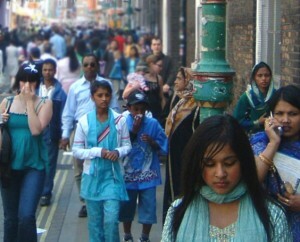 It amazed me how little mention there was of the impact population growth has on the species we share the planet with. 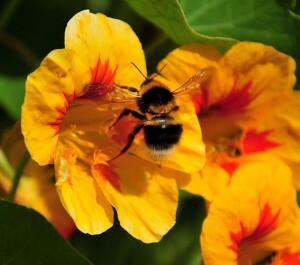 Neonicotinoids are systematic pesticides, which means that they are taken up by every part of the plant, including the pollen and the nectar.